Booking your golf tournament has never been so easy. Our professional staff will guide you through the process from beginning to end, ensuring a great day and successful event. 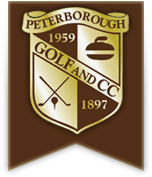 Thank you for your consideration and we hope you choose Peterborough Golf and Country Club as the location of your next golf tournament. Whether you plan to hold a large corporate or charity event, or just a group of 16 on a golfing getaway, we desire to ensure your complete satisfaction. Click on the link below to view out variety of packages!